Knowing the best Barbershop in Salt Lake City is important to get to know the type of hair care that the establishment is offering. On the average, most people in the United States get two to three haircuts in a year. This frequency significantly means that barbershops and salons have a strong potential on the market. As a consumer of their services, it would be wise to know where to spend your money when it comes to taking care of your hair and getting the right haircut service for you. Men are generally not as meticulous as the way women make their decision about their hairstyles. Most guys would directly consider going to barbershops whenever they want to get their hair done. However, with the existence of unisex hair salons, some men are becoming more interested in knowing the difference between barbershops and salons. How these two varies in terms of the service being offered, price, and the capacity of meeting a man’s need to get a good groom are just a few of the factors that men consider. 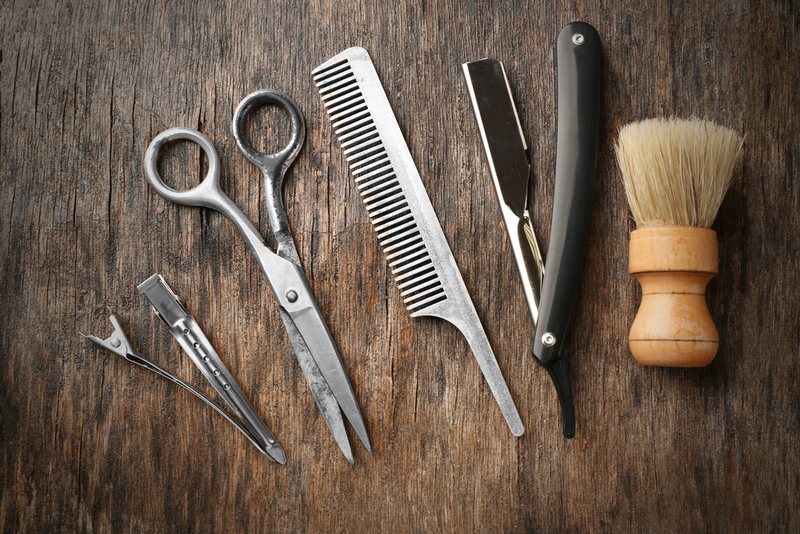 Barbershops Vs. Salons: What's the Best Choice for You? - Cheaper prices are offered in barbershops. - Men can get a straightforward recommendation from barbers on how he wanted his hairstyle to be changed. - If a man thinks that he can already look better in any traditional haircut such as flat top, buzz cut, military style cut, and the like, he could readily walk to the nearest barber shop. - Most men do not have a high level of hair maintenance, which makes barbershop as an option. - Generation barber shop offers extra pampering services such as face shaves, beard line up, and back massage. Some of these come for free or in a package with the haircut service that a customer avails. - Men are certain that they can easily relate to and interact with other male customers and barbers in barbershops. This place can turn into a relaxing place to hang-out with other men. - Some men prefer to maintain longer hair; hence, they go to a salon where stylists are more experienced in managing longer hair. - Some men want to apply the latest trends in hairstyling such as dye application, keratin treatment, digital perms, and other complex hair treatments that are not normally offered in barbershops. - They have the luxury of time to chitchat about the various options for a male hairstyle and willing to go through the long hair fixing process. - Men with female partners often go to a salon to accompany their ladies and avail of the salon’s service at the same time (but mostly in an impulsive manner). Setting aside the stereotyped concept that barbershops are for men and salons are for women, we can then say that barbershops are practical destinations for men who wanted a haircut. The comparison above made it clear how men can get much from choosing barbershops over salons. Taking a bath is the time that our hair gets a good clean in a day, so do not mess it up with just any shampoo and conditioner. Carefully assess how your hair and scalp react to the brand of hair products that you use. Deliberate application of these liquids to your hair may also help. Please note that barbershops do not usually have a bunch of hair chemical products in their inventory than salons do. Therefore, it’s safer to entrust your hair care dilemma to the nearest barber shop if you do not need any complex hair care treatment. After taking a bath, we think of towels as the quick answer to dry up our wet body, including our hair. However, this is also the time when our hair is more susceptible to damage. Instead of rubbing it with a towel, dry it up by stroking it into the proper direction— the direction it grows. Don’t be in a rush to dry your hair and just follow this tip. You will surely notice the improvement your hair gets when practicing this healthy way to drying it up. The use of hair blower may also cause serious damage to your hair if done excessively. As you can notice, salons are using hair dryers more often and in a longer period than in barbershops. Hats are becoming one of men’s preferred fashions style more than a protection to the head. Some guys would even turn hats to form part of their signature look. However, longer duration of using hats can damage the hair. It prevents the hair from taking in enough air, breathing, and drying up the sweat. With a hat on, sweat and dirt could accumulate on your scalp. Moreover, if these hats are worn in a tight manner, it can cause serious hair condition such as baldness or alopecia. Tight hats are not advisable to be worn for a longer duration if you want to keep your hair healthy and your scalp clean. Do not plainly depend on what you wear on your head, what chemicals you apply to your hair or how often you wash them to keep it healthy should also be considered. What you eat and the kind of lifestyle you have also matter in maintaining a healthy and vibrant hair. Foods rich in B-vitamin help in the production of red blood cells that are essential in carrying the nutrients to the scalp and hair. Drinking plenty of water and engaging in daily exercise make a healthy lifestyle that will also manifest in your hair’s health. Take note that the common cause of the popular hair disease, like alopecia, is too much stress and fatigue. Thus, avoid engaging in activities that will stress you out. Whether you prefer a short or long hair, a regular visit to barbershops is helpful in keeping a healthy hair. Each generation barber shop trims the damaged sections, which are usually the split ends of your hair. The only way that you can get rid of damaged hair is to have it cut and pampered in the closest barber shop or salon. Ideally, hair trimming should be done every six weeks. However, when you visit a barbershop, make sure to emphasize that what you want is just for your hair to be trimmed, unless you intentionally visit the place for other hair care servicing. Doing so will leave them the impression that you want to avoid other chemicals to be applied to your hair. As mentioned, one way to maintain a healthy hair is by regularly visiting a barbershop. Moreover, men must figure out where it is the best place to have their hair trimmed. A local Barbershop in Salt Lake City is often preferred by men in town because of its accessibility. You do not need to go farther to get your hair trimmed. Local barbershops may be available just around the corner of your place. The haircut Salt Lake City barbershops do for men are achievable and are on trend. All you need to do is to explore the nearby area or Google them for easier search and convenience. Most often than not, the closest barber shop in your area has been doing the service for years, which means they are manned by experienced barbers in town. Hence, this is a credible place to get a haircut service. On the other hand, choosing the closest barber shop also means a fast access to the same place should isolated cases occur such as noticing some unwanted changes in your hair hours or days after having it trimmed. Furthermore, complaints about how your hair was done can easily be laid down and addressed because the location is just near. Visiting a local barbershop in your area gives a higher probability of meeting your old folks and other familiar faces with whom you may warmly exchange a chat with. You may turn an ordinary haircut time at the barbershop into meaningful catching up moments with other men in your neighborhood. After exploring the barber shops near your area and being able to find the closest barber shop, you have the choice to directly walk in and take chances of being prioritized in your preferred barbershop or book an appointment. Setting an appointment is more convenient to avoid the queue and the waiting time. Inquire if they accept reservation through appointment. If they don’t, ask how many customers are currently in the queue. If you are a first-timer and unfamiliar with the place, ask for directions and famous landmarks nearby for you to locate the place easily. Compare the rates and the inclusions of their packages. In most cases, an informative and unintimidating conversation over the phone means that a service provider also warmly treats their customers. Many barber shops in Salt Lake City UT have this important attribute. Choose from the barbershop list based on the said appointment system attributes. From there, you create a set of your favorite barber shops along with their contact details for you to have a more convenient time in setting an appointment the next time around. Dropping by a local barbershop to get a neat haircut is definitely a smart decision for men to do. On top of being provided by convenient and practical ways to get your hair done, it enables you to contribute to the strengthening of the barbershop industry within your area. If you are curious about what more your local barber shops can offer, click here to find a list of services that you can avail from the best barbershop in Salt Lake City!